Lumbosacral epidural lipomatosis (LEL) is characterized by excessive deposition of epidural fat (EF). 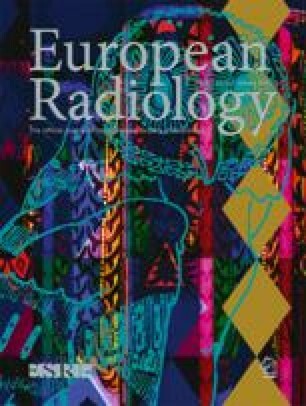 The purpose of our retrospective study was to quantify normal and pathologic amounts of EF in order to develop a reproducible MRI grading of LEL. In this study of 2528 patients (1095 men and 1433 women; age range 18–84 years, mean age 47.3 years) we performed a retrospective analysis of MRI exams. We obtained four linear measurements at the axial plane parallel and tangent to the superior end plate of S1 vertebral body: antero-posterior diameter of dural sac (A-Pd DuS), A-Pd of EF, located ventrally and dorsally to the DuS, and A-Pd of the spinal canal (Spi C). We calculated (a) DuS/EF index and (b) EF/Spi C index. We developed the following MRI grading of LEL: normal, grade 0: DuS/EF index ≥1.5, EF/Spi C index ≤40%; LEL grade I: DuS/EF index 1.49–1, EF/Spi C index 41–50% (mild EF overgrowth); LEL grade II: DuS/EF index 0.99–0.34, EF/Spi C index 51–74% (moderate EF overgrowth); LEL grade III: DuS/EF index ≤0.33, EF/Spi C index ≥75% (severe EF overgrowth). The MRI exams were evaluated independently by three readers. Intra- and interobserver reliabilities were obtained by calculating Kappa statistics. The MRI grading showed the following distribution: grade 0, 2003 patients (79.2%); LEL grade I, 308 patients (12.2%); LEL grade II, 165 patients (6.5%); and LEL grade III, 52 patients (2.1%). The kappa coefficients for intra- and interobserver agreement in a four-grade classification system were substantial to excellent: intraobserver, kappa range 0.79 [95% confidence interval (CI), 0.65–0.93] to 0.82 (95% CI, 0.70–0.95); interobserver, kappa range 0.76 (95% CI, 0.62–0.91) to 0.85 (95% CI, 0.73–0.97). In LEL grade I, there were no symptomatic cases due to fat hypertrophy. LEL grade II was symptomatic in only 24 cases (14.5%). In LEL grade III, all cases were symptomatic. A subgroup of 22 patients (42.3%) showed other substantial spinal pathologies (e.g., disk herniation). By means of simple reproducible measurements and indexes MRI grading enables a distinction between mild, moderate, and severe EF hypertrophy. Kappa statistics indicate that LEL can be reliably classified into a four-grade system by experienced observers. The authors are grateful to Eduardo Lassalle, MD, for his continuous academic support.